Something interesting has emerged in voting patterns on both sides of the Atlantic: Young people are voting in ways that are markedly different from their elders. A great divide appears to have opened up, based not so much on income, education, or gender as on the voters’ generation. The Cold War, for example, was over even before some were born and while others were still children. Words like socialism do not convey the meaning they once did. If socialism means creating a society where shared concerns are not given short shrift—where people care about other people and the environment in which they live—so be it. Yes, there may have been failed experiments under that rubric a quarter-or half-century ago; but today’s experiments bear no resemblance to those of the past. So the failure of those past experiments says nothing about the new ones. Older upper-middle-class Americans and Europeans have had a good life. When they entered the labour force, well-compensated jobs were waiting for them. The question they asked was what they wanted to do, not how long they would have to live with their parents before they got a job that enabled them to move out. That generation expected to have job security, to marry young, to buy a house—perhaps a summer house, too—and finally retire with reasonable security. Overall, they expected to be better off than their parents. Today, the expectations of young people, wherever they are in the income distribution, are the opposite. They face job insecurity throughout their lives. On average, many college graduates will search for months before they find a job—often only after having taken one or two unpaid internships. And they count themselves lucky, because they know that their poorer counterparts, some of whom did better in school, cannot afford to spend a year or two without income, and do not have the connections to get an internship in the first place. Today’s young university graduates are burdened with debt—the poorer they are, the more they owe. So they do not ask what job they would like; they simply ask what job will enable them to pay their college loans, which often will burden them for 20 years or more. Likewise, buying a home is a distant dream. 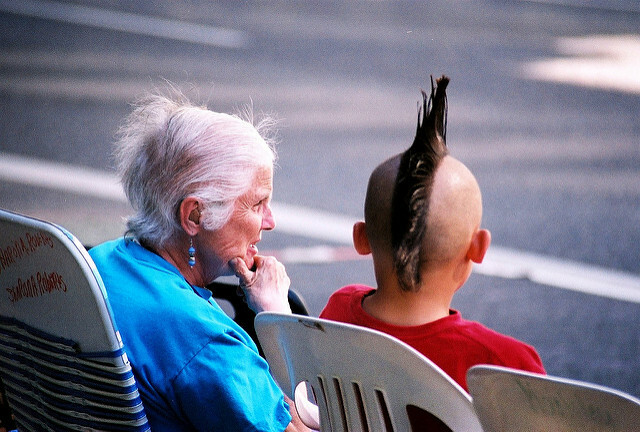 In short, today’s young people view the world through the lens of intergenerational fairness. The children of the upper middle class may do well in the end, because they will inherit wealth from their parents. While they may not like this kind of dependence, they dislike even more the alternative: a ‘fresh start’ in which the cards are stacked against their attainment of anything approaching what was once viewed as a basic middle-class lifestyle. These inequities cannot easily be explained away. It isn’t as if these young people didn’t work hard: these hardships affect those who spent long hours studying, excelled in school, and did everything ‘right.’ The sense of social injustice—that the economic game is rigged—is enhanced as they see the bankers who brought on the financial crisis , the cause of the economy’s continuing malaise , walk away with mega-bonuses, with almost no one being held accountable for their wrongdoing. Massive fraud was committed, but somehow, no one actually perpetrated it. Political elites promised that ‘reforms’ would bring unprecedented prosperity. And they did, but only for the top 1%. Everyone else, including the young, got unprecedented insecurity. These three realities—social injustice on an unprecedented scale, massive inequities, and a loss of trust in elites—define our political moment, and rightly so. More of the same is not an answer. That is why the centre-left and centre-right parties in Europe are losing. America is in a strange position: while the Republican presidential candidates compete on demagoguery , with ill-thought-through proposals that would make matters worse, both of the Democratic candidates are proposing changes which—if they could only get them through Congress—would make a real difference. But more needs to be done to make home ownership possible not just for those with parents who can give them a down payment, and to make retirement security possible, given the vagaries of the stock market and the near-zero-interest world we have entered. Most important, the young will not find a smooth path into the job market unless the economy is performing much better. The ‘official’ unemployment rate  in the United States, at 4.9%, masks much higher levels of disguised unemployment, which, at the very least, are holding down wages. Joseph E. Stiglitz is a Nobel laureate in Economics, a University Professor at Columbia University and Chief Economist of the Roosevelt Institute. This article is presented in partnership with Project Syndicate © 2016.